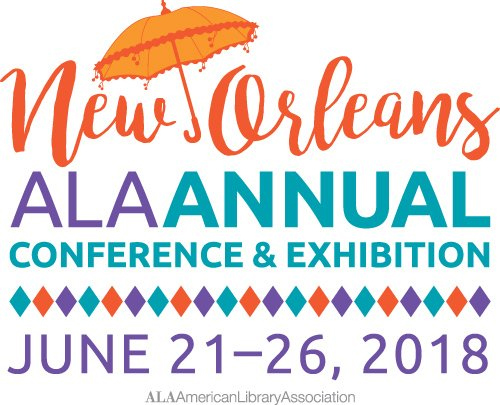 Get your game on at The American Library Association Annual Conference from June 21-26, 2018 in New Orleans, Louisiana. 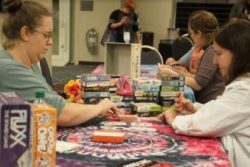 The Games and Gaming Roundtable (GameRT) will be offering a number of events and opportunities for you to learn how to bring games and play into your library. GameRT is back with a booth and Gaming Lounge on the exhibit floor. 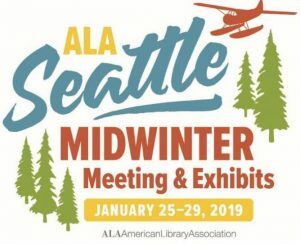 Come by booths 436 and 437 to learn about the benefits of membership in the Games and Gaming Roundtable (GameRT) and network with librarians interested in games and play in libraries. ALA Play starts off the conference with an open gaming event on Friday, June 22, from 7:30 pm to 10:00 pm at the Hilton Riverside, Grand Salon A. This event is a come-and-go event where you can demo games from Paizo, Looney Labs, Osprey Games, AEG Games, Asmodee, HABA, and Renegade games. Open gaming will be hosted by Tubby & Coo’s Mid-City Book Shop. There will be two play areas, one hosted by Wizards of the Coast with a Planeswalker Deck League and another hosted by Konami with Yu-Gi-Oh!. Rosen Publishing has a table with resources featuring STEM, making, and gaming. Last but not least, there will be Unpub Area full of games from designers in the New Orleans area. Join GameRT for a night of gaming, networking, and fun! On Saturday, June 23, from 2:00 pm to 4:00 pm GameRT will be hosting the Chair’s Program: Safe-T Corp – An Information Literacy Escape Experience in the Morial Convention Center (Rm 284). This session gives participants a chance to go through an escape experience built around information literacy skills. This escape was developed by and for school and academic librarians and is targeted to high school and college freshman. Participants will play through the experience, learn about how it was developed, and the resources needed to implement an escape experience in your space. The GameRT Board Meeting is on Saturday from 4:30 pm to 5:30 pm. Join the board of GameRT as they discuss their goals and plans for the next year. GameRT Sharing Sessions are on Sunday, June 24, from 1:00 pm to 2:00 pm. These sessions allow librarians to showcase what they are doing in their libraries. Learn how tabletop role-playing games (TRPGs) can bolster all sorts of skills and how to circulate a successful TRPG collection with Dungeons & Dragons, FATE, Pathfinder, and more. 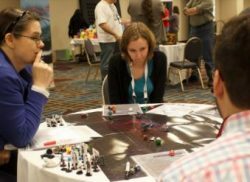 Learn how to enhance the discovery of makerspace materials and how to catalog your tabletop games. The Graphic Novel/Gaming Stage hosts events throughout the conference. 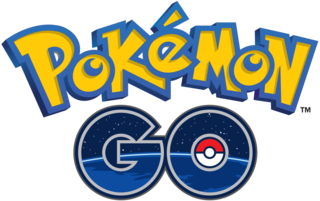 One session for librarians interested in starting a game collection is Games 101: What are different games, and how can I use them most effectively from 3:30 pm to 4:30 pm on Saturday, June 23. The Clandestinauts: Comics & Games session talks about the generative power of games to create engaging narratives. The author, Tim Sievert, discusses the birth of these characters from a long evening spent playing classic Dungeon & Dragons games. This event is from 9:30 am to 10:20 am on Sunday, June 24th. 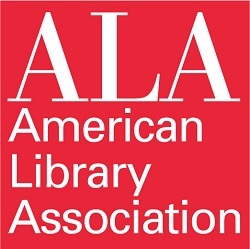 We are looking forward to meeting everyone and hope you have a great time at ALA Annual.